It has been called "the greatest naval battle since Trafalgar." On June 4, 1942, near a tiny island 1,500 miles from Hawaii, the course of the Pacific War changed dramatically. Before the battle of Midway the forces of Imperial Japan seemed unstoppable. After Midway the Japanese would never again take the offensive. Fifty-six years later, famed underwater explorer Robert Ballard embarked on a search for the lost ships that had sunk in that historic battle. Accompanying him were a group of. by Ray Ellis(Illustrator), Robert D. Ballard. With masterly paintings by Ray Ellis and an authoritative text by Robert Ballard, this captivating book portrays the beauty, majesty, and diversity of America's Atlantic and Pacific coastlines. 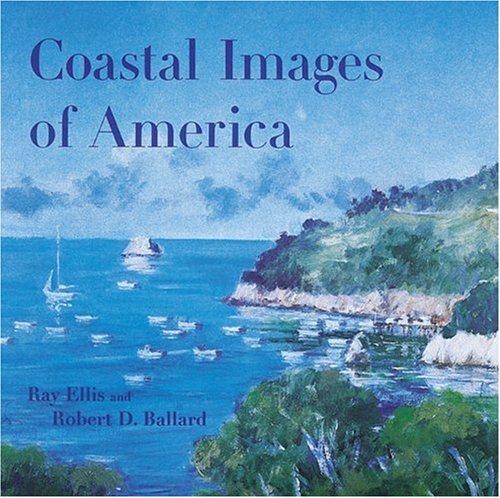 Robert Ballard's knowledgeable text, complementing Ray Ellis's paintings and captions, is a fascinating kaleidoscope of coastal history and natural history and provides an account of how the shoreline was formed and its condition today as well as stories of early settlers and present-day residents. The author is a foremost authority on the sea, having organized and conducted more than one hundred deep-sea expeditions, including those that located the Titanic and the Bismarck and more recently Roman ships in the Mediterranean. This is an ideal gift book for anyone who enjoys living, boating, or vacationing along the seacoasts.